As of October 2018 the Library will share a number of additional items from its collections on Europeana, a European digital cultural platform. We are currently working with 12 other partner institutions on a project entitled ‘The Rise of Literacy’ which aims to explore the history of reading and writing in Europe. In this weekly blog series – ‘Revealing the Objects‘, some of the Library’s contributions will be disclosed on a thematic basis. Here’s a selection of political publications that will be digitized as part of the project. Richard Price was a Nonconformist minister, philosopher and insurance accountant. He is mostly known for his sermon ‘A Discourse on the Love of our Country’ (1789), an enthusiastic expression of support to the French Revolution. 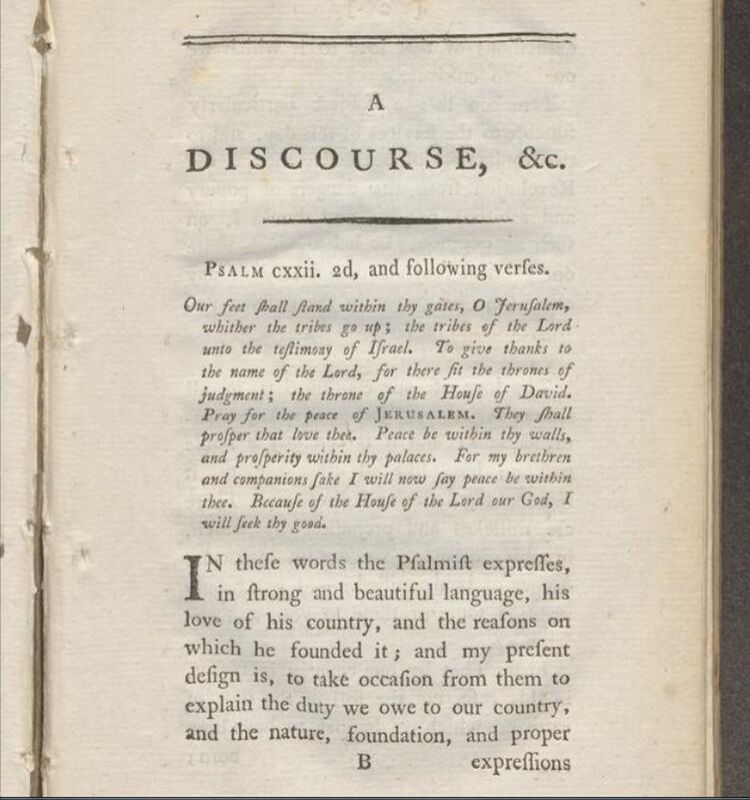 His sermon inspired Edmund Burke’s famous ‘Reflections on the Revolution in France’ (1790), considered a classical statement and political pamphlet. An official mourning period was held in Paris following Richard Price’s death in 1791, an indication of the significance of his support to the Revolution. David Williams was a political pamphleteer. His publication, ‘Letters on Political Liberty’ defends and supports those American settlers that believed in radical political reform and reorganisation. Its content also refers to the author’s ideas on the role of political senators; they were to act as trustees and custodians of the rights of people. Williams made a name for himself in France. 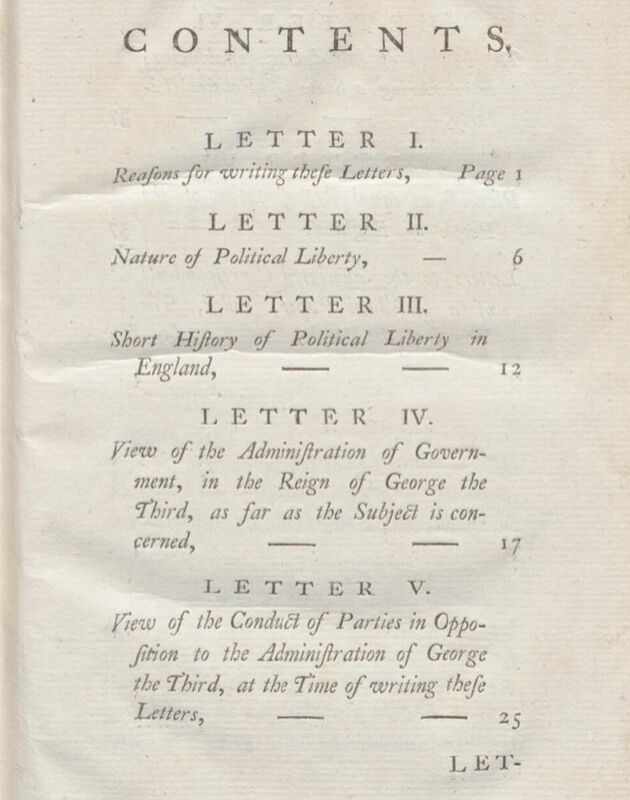 His volume ‘Letters on Political Liberty’ was widely circulated in the country after its translation and was particularly appreciated by the leaders of the French Revolution. Williams was awarded a French citizenship due to his support. Jac Glan-y-gors (John Jones) was a satirical writer and inn keeper. 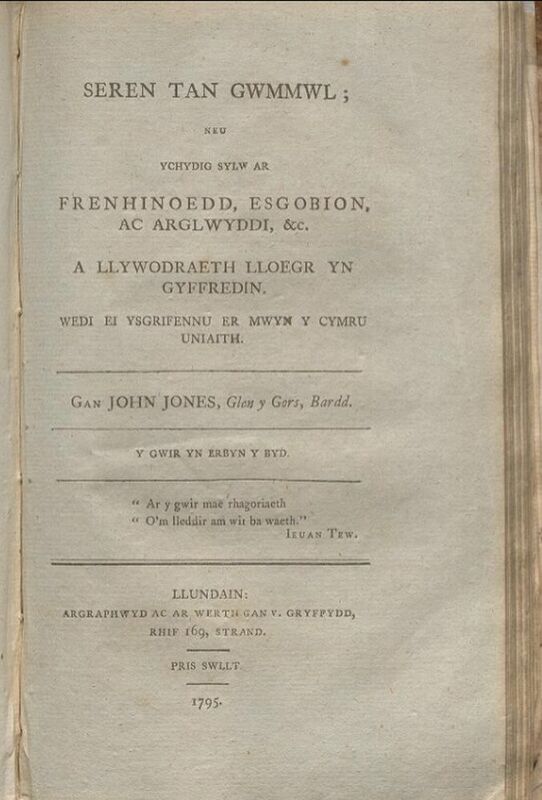 The author’s aim in this published pamphlet was to present Thomas Paine’s ideas to a wider Welsh speaking audience. Jones shared Paine’s values on war, monarchy, the Established Church and the rights of men. These values are demonstrated in ‘Seren tan Gwmwl’. He played a prominent role within the London-Welsh societies at the end of the eighteenth century and co-founded the Cymreigyddion Society. 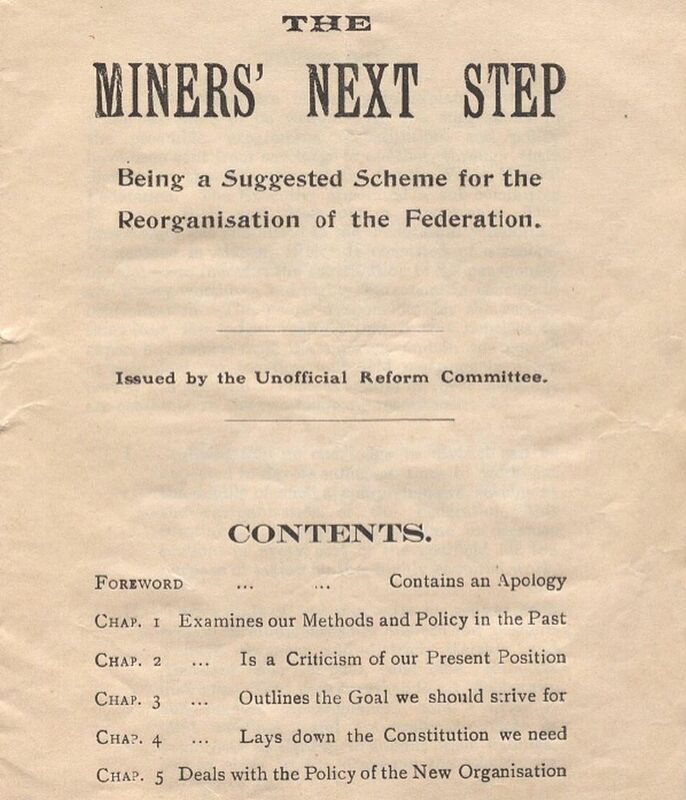 ‘The Miners’ Next Step’ was a pamphlet-manifesto; formed by an Unofficial Reform Committee, brought together by the miner and Trade Union leader Noah Ablett, as well as A. J. Cook, William Henry Mainwaring and others. The syndicalist manifesto was highly publicised and argues for reformation in the ownership, control and organization of coal pits. It also contains a plea for a singular, large scale industrial union and advocates for an industry that is controlled and owned by its workers. ‘The Miners’ Next Step’ provoked intense discussion within the industrial field and is still noted today for its mixture of Syndicalism and Marxism.